Indooroopilly State High School is a co-educational Brisbane public secondary school with a unique learning structure that aims to instil a sense of personal value and autonomy in its students. Classroom activities foster a relationship of mutual respect between teacher and student. We are a school for young people who want to think responsibly, independently and creatively, and to work with others to learn. We are a school for young adults. The school takes its direction from the community and is supported by the resources of Education Queensland. Our current enrolment is approximately 2000 students. We are proud to be a multicultural school that celebrates the diversity of our community. We welcome students from cultures all over the world and nurture their talents. Our school has been foremost in developing and delivering an excellent International Student Program that is recognised as a leader in Queensland. 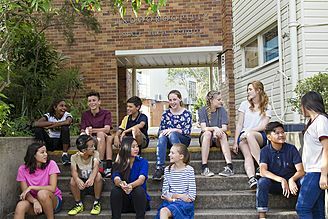 Indooroopilly State High School has offered the International Baccalaureate since 2006. Our IB courses are delivered by dynamic, experienced teachers who are highly respected in their fields of study. IB is one of a number of specialist programs for which the school is recognised. We offer accelerated learning programs in Maths and Engineering, Music and Chinese, as well as Spanish Immersion, Aviation and Aerospace, and the CISCO Networking Academy Program. These specialist courses speed up the delivery of content to match the learning needs of the student. After a rigorous three-year application process, our school was awarded the prestigious Council of International Schools (CIS) accreditation in 2003, recognising that our curriculum and management meet internationally benchmarked standards. We have strong learning partnerships with tertiary institutions. 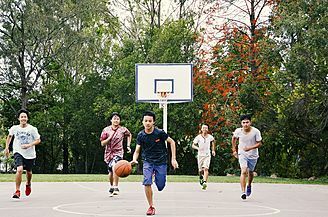 Senior students are able to concurrently study undergraduate subjects at University of Queensland, Queensland University of Technology, Griffith University and University of Southern Queensland. The school sits near the University of Queensland in a leafy pocket on the Brisbane River. 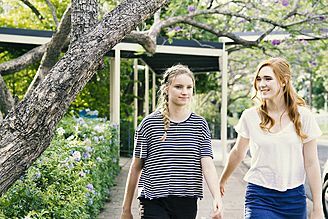 Our campus, in Brisbane's inner western suburbs, is just seven kilometres from the city. 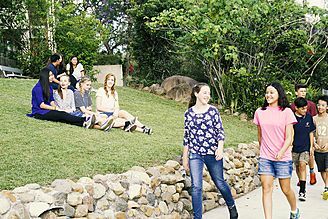 Indooroopilly State High is one of a small number of public schools in Australia that do not require students to wear a uniform, a reflection of our independent ethos. Indooroopilly State High School was one of the first state schools in Queensland to offer the Diploma programme in 2006. It offers students choice in all subject groups within the IB at both HL and SL. The school has highly experienced IB staff. Group 1 subjects(Studies in language and literature) offered is English Literature. Mother tongue languages are school supported where possible. Group 2 subjects(Language acquisition) offered include Mandarin and Spanish Ab Initio and Chinese and Spanish B HL. Other languages are school supported where possible. Group 3 subjects(Individuals and their societies) offered include Business Management, History and Psychology. Group 4 subjects(Experimental Sciences) offered include Biology, Chemistry, and Physics. Group 5 subjects(Mathematics) offered are Mathematics and Mathematical Studies. From 2020: Mathematics Analysis and Approaches, and Mathematics Applications and Interpretation.